It is well known that if you are a big chess fan, St. Louis is a great place to be. Since 2009, the best chess players in the country have gathered at the St. Louis Chess Club to fight for the U.S. Championship and U.S. Women’s Championship titles. From 2013 onward, the club has hosted the Sinquefield Cup, where the world’s best duke it out for the highest of stakes. The club runs countless tournaments every year, events suitable for everyone from amateurs to grandmasters. It also has worked hard to promote chess among women and girls, two often-underrepresented groups in the chess community. 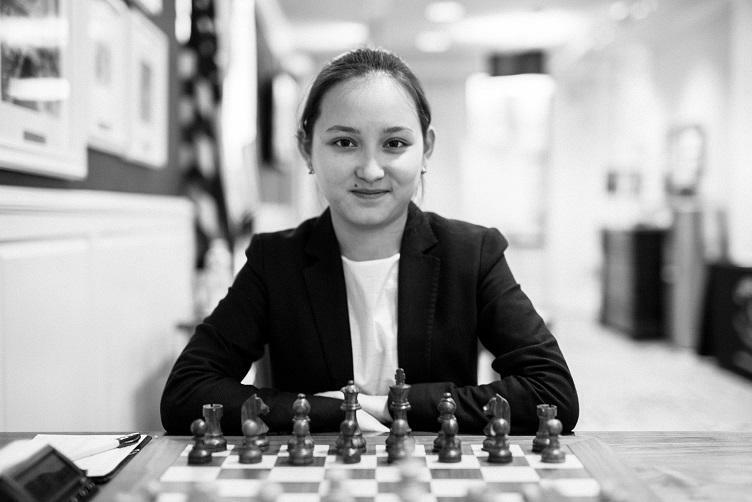 Cairns Cup contender Zhansaya Abdumalik of Kazakhstan holds the titles of International Master and Woman Grandmaster. Apart from running the U.S. Women’s Championship every year, the club hosts the U.S. Girls Junior Championships, and an all-girls iteration of the U.S. Chess School recently took place there. One event that has been missing, however, is an elite women’s tournament featuring the world’s best female players. This missing piece will now be remedied, and the result is the inaugural Cairns Cup, which will take place Feb. 5-16, with a prize fund of $150,000. Appropriately named after the co-founder of the St. Louis Chess Club, Dr. Jeanne Sinquefield (née Cairns), the event will be a round robin featuring ten of the top female players in the world. Included in this field are two of the top women in the U.S., grandmaster Irina Krush and international master Anna Zatonskih. If you have followed the U.S. Women’s Championship over the years, these names will be well known to you. 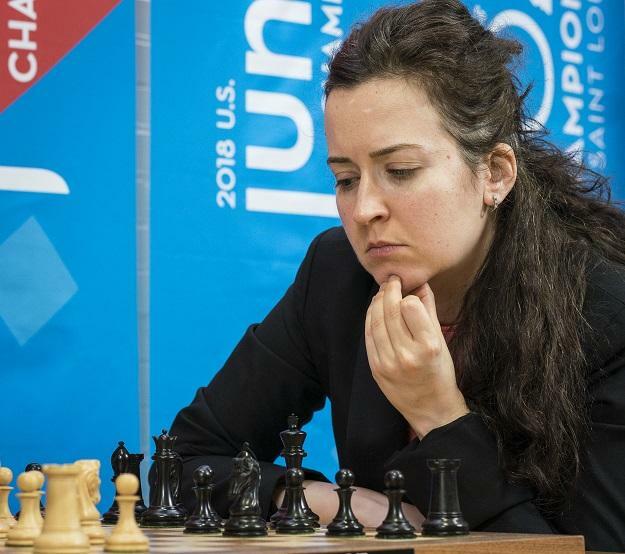 Born in Ukraine, American contender Irina Krush has won the U.S. Women's Chess Championship seven times. From 2006-2015, the two pretty much dominated the event, with Krush winning a total of seven titles and Zatonskih winning four. Even though they’ve been in more of a sharing mood in the past few years, they are always the favorites whenever they participate. In the Cairns Cup, however, it will be the other way around. Instead of being the two highest-rated players, the two American chess icons are seeded ninth and tenth. While the field is tight and every player has a definite shot at first, our two champions will certainly have their work cut out for them. The top seed at the Cairns Cup will be none other than former Women’s World Champion Alexandra Kosteniuk. The world-famous Russian grandmaster became Women’s World Champion in 2008 and also has a healthy number of other titles to her name, including two Russian Women’s Championships and three gold medals at the Olympiad. Hot on her heels will be her countrywoman, grandmaster Valentina Gunina. Apart from those Olympiad golds on the Russian team, she won a rapid event at the London Chess Classic in 2016, ahead of 44 world-class grandmasters. Another top seed will be grandmaster Nana Dzagnidze, the highest rated woman from Georgia, a country that is historically a powerhouse for top female players. (Current U.S. Women’s Champion, Nazi Paikidze, also originally hails from Georgia). Dzagnidze has been one of the world’s best for many years and recently won the 2017 European Women’s Championship and the 2017 Women’s World Blitz. Also from Georgia is grandmaster Bela Khotenashvili, a two-time Georgian Women’s Champion and gold medal winner on board one at the 2015 Women’s World Team Championships. German international master Elisabeth Paehtz is another big-name participant. Paehtz won the German Women’s Championship at the mere age of 14. France’s only female grandmaster, Marie Sebag, was another precocious talent. Always a dangerous opponent, Marie defeated a former World Champion, Uzbek grandmaster Rustam Kasimdzhanov, when she was only 21. Grandmaster Harika Dronavali is one of the most prestigious sportswomen in all of India and has numerous awards as well as tournament victories to her name. She only narrowly missed defeating eventual champion grandmaster Tan Zhongyi of China in the semifinals of the 2017 Women’s World Championship. Rounding out the field is one of the most exciting talents in the world on the women’s side, international master Zhansaya Abdumalik. The young Kazakh IM might be just 19, but her resume can already compete with many of her more experienced rivals. Mix together 10 exciting players within 100 points of one another, a hefty $150,000 prize fund, and one of the best chess venues in the world and you have a recipe for a top tier event. The Cairns Cup will take place at the St. Louis Chess Club Feb. 5-17. The opening ceremony is at 6 p.m. on the first day, and the rounds will take place every day at 1 p.m. from Wednesday, Feb. 6 to Friday, Feb. 15, with Monday, Feb. 11 being a rest day. A playoff, if necessary, will take place on Feb. 16, at the same time. A top-notch event deserves top-notch commentary, and the A-team of GMs Yasser Seirawan and Maurice Ashley and woman grandmaster Jennifer Shahade will be doing live video commentary for each round on uschesschamps.com. Results and standings can be found at the same location. IM Tania Sachdev and WGM Tatev Abrahamyan will also be doing live commentary at Kingside Diner next to the chess club. If you are in town and in the mood to check out high-level chess, come down to St. Louis Chess Club this February to see the world’s best female players. GM Josh Friedel began playing chess at the age of three and entered his first tournament at just six years old. Friedel earned the IM title at 18 and proceeded to earn the GM title at 22. He is a three-time New Hampshire State Champion as well as a two-time California State Champion. Friedel has played in six U.S. Championships and won the U.S. Open Championship is 2013. Friedel is the journalist for the Cairns Cup event. After Team USA won the Women’s World Cup Soccer Championship, people started talking about money. The women’s teams competed for a fraction of the prize money compared to the men’s championship. This pay disparity is replicated throughout the sports world, even in chess. And the irony with chess is this is a game played with the mind. It’s a game that has nothing to do with strength or height. November 2018 was truly a golden month for chess. It was the culmination St. Louis grandmaster Fabiano "Fabi" Caruana’s two-year campaign to unseat world champion Magnus Carlsen. The 12-game match played in London grew in intensity with each successive drawn game. As the match moved to its latter stages, the risk of losing a single game caused the players to be as careful as possible with their decisions. Three players were crowned as winners of the sixth annual Sinquefield Cup in St. Louis. Normally, a playoff takes place to determine the sole winner of a tournament, but in an unprecedented turn of events, the players decided to share the title. World Champion Magnus Carlsen, his challenger Fabiano Caruana and the Armenian superstar Levon Aronian disliked the rule of eliminating one player by drawing lots and came to the unanimous decision, approved by the chief arbiter, to share the title. Thus, the “no-repeat-winner” tradition of the Sinquefield Cup was broken, as all three have won the previous editions.